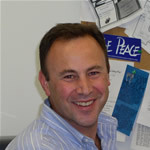 Mark Plotkin is a Reference Librarian at the University of Miami Law Library. Prior to coming to Miami, Mark was a Reference Librarian at the U.S. Department of Justice Libraries in Washington, DC and a Serials Librarian at the U.S. Supreme Court Library. He received his MSLS in 1990 from the Catholic University of America.